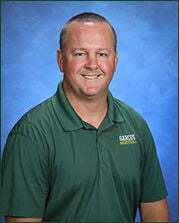 Brian Dignan has stepped down as athletic director at Garces High School. Dignan, who was named AD last January, will remain as boys basketball coach at the school. He made the announcement on his personal Facebook page Thursday. Dignan added that Gino Lacava will take over as Rams athletic director. As of late, there has been turnover with Garces' athletic programs. A.J. Gass recently stepped down as football coach to accept an assistant coaching position with the Edmonton Eskimos of the Canadian Football League. Also last month, Guy Dees was dismissed as baseball coach so he could spend more time on his administrative duties as dean of students. Dees accepted a job at Paraclete High School this week, where he will be dean and work as an assistant baseball coach. Dignan has 20 years of teaching and coaching experience, as well as four years competing at the college basketball level at Brigham Young. He is in his fourth year at Garces. Prior to that, he was boys basketball coach at Bakersfield Christian for three years. Before his high school coaching and administrative career, Dignan was an assistant coach for 10 years at Cal State Bakersfield and also was an assistant for one year with the Bakersfield Jam. “I want everyone to know how fortunate I feel to work at Garces and how thankful I am that the needs of my family were considered and addressed," Dignan wrote. "Finally, I ask for support and understanding from the entire Garces community as these changes are made, Garces is an amazing school and truly does care about Family."